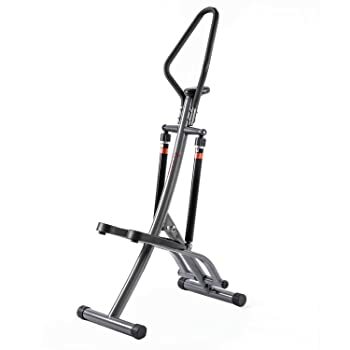 If you’re looking for an easy as well as a fast way to get into shape without having to visit the gym regularly, then you should go for the Maxi Climber. It is designed in such a way that you can perform short exercises in the comfort of your home. Innovations International LLC created the Maxi with the idea of mimicking mountain climbing episodes where you can quickly burn calories from your arms to your thighs and legs. It is very efficient, moderately priced, and conveys benefits same to those of a Stairmaster or a step machine. Apart from burning calories, it increases your muscle tone as well as improves your cardiovascular health thus it will keep your heart health at all times. Maxi Climber is an “all-in-one” modest workout that can help you burn calories in few minutes. 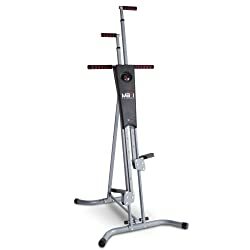 With this vertical climber, you can burn more fat than when exercising on a bike or a treadmill for the equivalent time that you could be working out on a Maxi Climber. If you want a vertical climber that is easily operated and pretty practical, the Maxi Climber is what you need. The Maxi is the most sorted out vertical climber by many users that allows you to engage all major muscles groups by utilizing only your body weight. When fully extended, it measures 22 inches (W) by 36 inches (L) by 79 inches (H). It weighs around 34lbs and can support a user with a weight limit of 240 lbs. Several reports indicate that even heavier users than the limit can use this vertical climber, but it is not recommended. It’s a vertical climber that imitates the movements of rock climbing to give you a full body workout from which you build stamina and endurance. Burn calories as well as tone your muscles all at the same time as you try to maximize your exercising time. It is easy to set and operate, and you can burn 500 calories in about one hour. You may consider adding weight resistance to get an aerobic exercise and muscles toning as you exercise. The Maxi is lightweight and durable to give you an extended period of usage. It comes pre-assembled, and you need no additional tools or parts to put it into place. It is as simple as it sounds. Also, this vertical climber is more suitable for you if you have a small apartment or you don’t have much space in your home. Just store it in a corner or in a closet where it will be out of sight and save yourself some extra space in your home. 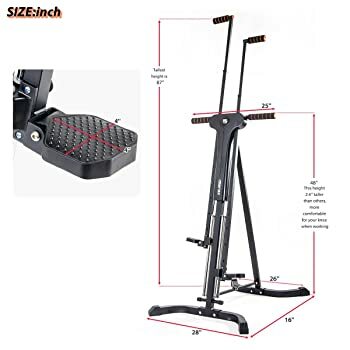 Lastly, it is very budget-friendly fitness equipment that you can try out if you want to exercise at the comfort of your home without having to visit the gym. It comes with a simple 7-step-meal plan, interval training CD labeled Rockin’ Out, and 1-year warranty. Ergonomic design that comes with an isometric non-stick grip that provides workouts that are low impact, smooth, and comfortable. Adjustable height with 5 different settings ensures that it can comfortably accommodate short or tall people. Bio-X technology provides you with a motion (cross-crawl) that can engage your core and abs with every step you make. Workout timer comes in handy by counting some calories burned as well as the number of steps performed. The timers automatically turn on every time you start working out and will eventually stop at the same time you do. Foldable for storage ensures that you can keep it away when not in use because it folds easily. You can store it under your bed or in a standard closet. Here is the comparison with other products. Check it out. The Maxi has proven to be the best selling Vertical Climber to have in your home with all the features and benefits it portrays. 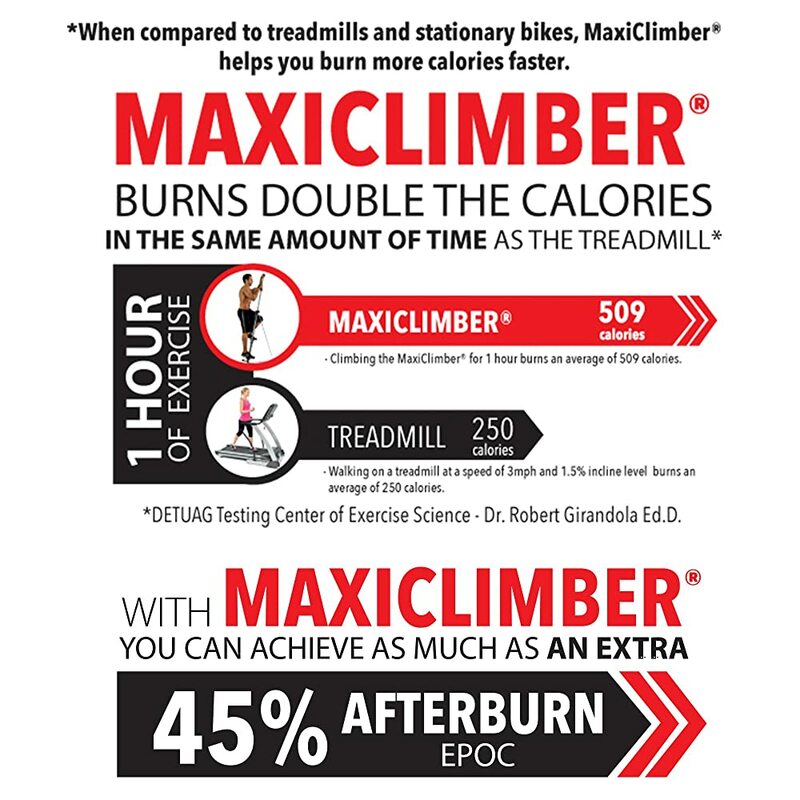 With that much said, I’ll be comparing it with other Vertical Climbers, and from that review, you’ll notice that Maxi Climber is the most user-friendly product to purchase. This Vertical Climber is for those who want to engage in a more robust workout as compared to the other Climbers. It’s somewhat a climber with an innovative exercise movement and hold people with a weight capacity at over 220 lbs and a sturdy construction. If you’re looking for a Vertical Climber that will give you a smooth workout experience, then the Sunny Folding is the ideal unit. It has 2 adjustable resistance cylinders. When compared to a Maxi Climber, the Sunny folding is a much better proposition, but it is a bit expensive. 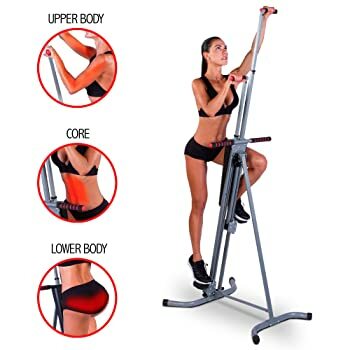 That should not stop you from purchasing it because when you do exercises with this unit, you’ll feel justified about its cost. It is easier to store and move around than other products because it is a folding model. According to reviews online, people argue that the Maxi is not that durable since it’s produced in a costly manner but it will give you much service than you could have imagined. This Vertical Climber comes with a properly-lit display to provide users with a detailed readout during exercises. The display has a count as well as stopwatch with a timer, general scan, and calories. The only issue with this model that I could find was the fact that you cannot use it in a commercial setting. If you decide to use it for commercial use, you’ll void the warranty. I would recommend you use it as a home gym perceptive. That’s why the Maxi is more user-friendly than the Sunny Folding. The Conquer and the Maxi almost look the same. If you’re not keen, you may find yourself having the alternative of what you wanted. You should pose a question of which is the better one and which model do I really want to get the best workout experience. It all depends on your personal choices and preferences. To help on the comparison, most people argue that the Maxi Climber is slightly expensive than the Conquer Climber. But you should be aware that the Maxi comes with extra features such as the Isometric grip that adds to its comfortability during exercises. They have similarity in their design since they both provide high-intensity workouts with very little impacts on the body joints and they mimic rock climbing. Both units have a vertical design that comes with an adjustable height as well as an ergonomic design appropriate for all body types. The two items in discussion are ideal for any workout where many argue that the Conquer is sturdier than the Maxi. As long you respect the weight limit you won’t have any problems with the Maxi Climber. That is why the Maxi is the most preferred vertical climber to purchase. It is a vertical climber that can be used at home or in your office as well as the gym. 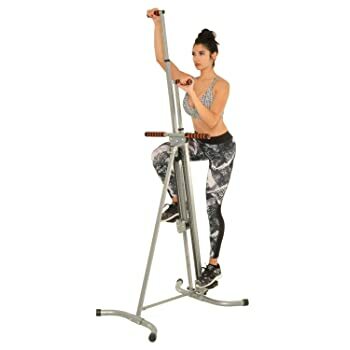 The built-in-exercise bike feature makes it unique and different from the Maxi Climber. 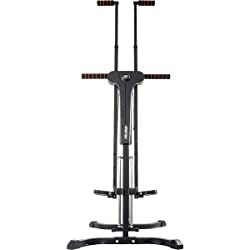 Both units are easily assembled even with the added feature of a bike-like workout that comes with the Ancheer Climber. It made with high quality alloy steel that ensures that the Ancheer is sturdy and lightweight. Not forgetting the LCD screen that will monitor all your progress as your mimic mountain climbing. The bike provides that you warm up your muscles before engaging in exercises. Its handles are covered with a thick sponge to add comfortability and a coated alloy steel that is health friendly as well as anti-rust paint. Even though the Maxi Climber is durable, you’re sure to use the Ancheer for years. 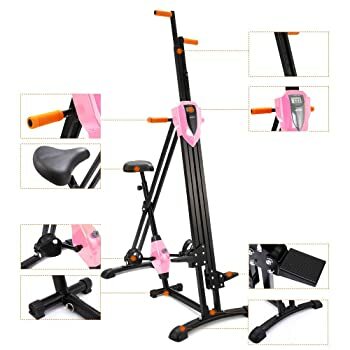 The Climber or the exercise bike will give you service for many years because of the high-quality alloy steel that makes it. That’s right. You can enjoy high-intense complete body workouts for years. The Maxi Climber is best for the whole body exercises in particular. However, if you’re looking for a vertical climber to help you in building leg muscles, the Ancheer has got you covered for an intense workout. The Merax Vertical Climber also mimics actions or steps of mountain climbing just like the Maxi Climber. Another Climber that will help you in losing weight and at the same time burn excess calories and improve cardiovascular system health. The Merax body is made of steel alloy that will give you service for years and a sleek metal finish that looks classy. 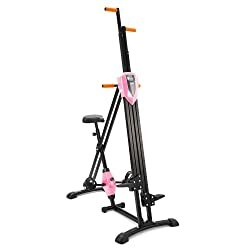 Just like the Maxi, this climber can be used either at home or the office because you can quickly assemble it and after your workouts you can disassemble it for storage. An added advantage to the Merax is that it comes with an isometric non-stick grip that allows you to workout with the much-needed comfort without having to strain. Assembly the Maxi Climber and adjust the height – You need to fix the climber according to your height and make sure to check that the handles are also correctly aligned. Climb on board – You can just step on the foot pads as if you’re climbing up the stairs and grab onto the handles and start exercising as if you’re mimicking rock climbing. Legs and hand motion should correspond to each other as you exercise. Warm up – You can always start by warming up by either performing short strides or long strides to give you that momentum when you begin the exercises. Workout Routine – You should try out the routine that works for you. You can start with short workouts and as you progress you can shift to high-intensity workouts. Cool down – Give yourself some intervals after exercising. Always give yourself some few minutes to rest before you climb off. If you want to shed weight and increase your muscle build up as you maintain your heart health, then you should go for the Maxi Vertical Climber. That will provide you with very efficient anaerobic as well as aerobic workouts that are easy and fun to perform.